Free Shipping Included! 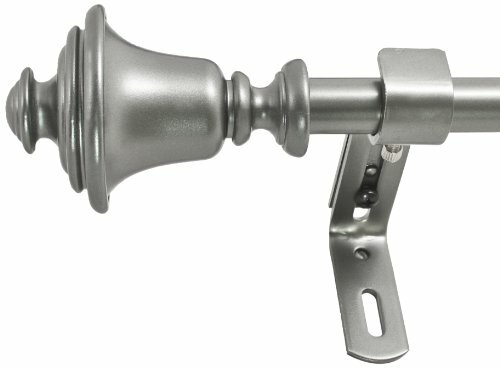 Montevilla 5/8-Inch Bell Window Treatment Rod Set, 48 to 86-Inch, Dark Nickel by Montevilla at Delta Everett. MPN: 680656136287. Hurry! Limited time offer. Offer valid only while supplies last. Transform any room with this bell adjustable curtain rod set. Global styling and sleek Nickel Finish creates a modern feel. 5/8 inch diameter. Transform any room with this bell adjustable curtain rod set. Global styling and sleek Nickel Finish creates a modern feel. 5/8 inch diameter. Brackets and mounting hardware included. Matching holdbacks available. The maximum weight for all Beme International product is 20 pounds. If you have any questions about this product by Montevilla, contact us by completing and submitting the form below. If you are looking for a specif part number, please include it with your message.